The date of the Annual Flea Market is easy to remember, always the first Saturday afternoon in March at the CTARC club house, off Laidlaw Lane in Rondebosch. This year it is on March 7 opening at 11h00. There will be a small charge to sellers this year of R10-00 to help defray our costs but no charge to buyers and browsers. 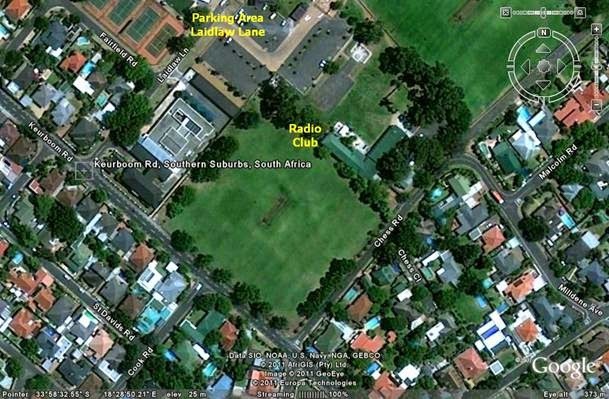 This small fee also allows sellers to park their vehicles on the grassy area directly in front of the club house. As this area is limited in size, buyers and non-sellers will be requested to park in the paved parking area of Laidlaw Lane, which is immediately adjacent to the flea market area. Cold refreshments and boerie rolls and burgers will be available throughout the afternoon. There is no time like the present to start sorting out the shack and boxing up those unused and surplus items. Bring them along to the CTARC Annual Flea Market and convert them into instant cash. Who knows, you may even find better or more interesting toys at the Flea Market that you can then take home with you and have great fun with. Start planning now and look forward to seeing all of those friendly smiles of our fellow Amateurs from around the Cape. See you there on the first of March at 11h00.